The truth is out there waiting to be handed to you! A.S.G. can conduct any size South Carolina background check to find it for you, quickly, easily and affordably! No matter what your reasons for needing a background check, you can never tell who you are dealing with without checking things out. Using your personal judgment in assessing someone can never be as accurate as having real background information in hand. Our South Carolina Background Checks include the major metropolitan areas like Columbia, Charleston, Greenville, Hilton Head and Myrtle Beach. You don’t need a “super instant” background check. These websites area a scam and cannot get you accurate information for $29.99. South Carolina is full of wonderful people, but the reality is that there are many bad people mixed amongst the good. The key is to know the truth. 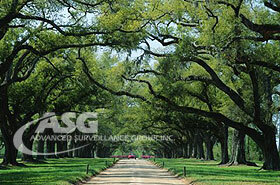 When you need to learn the truth about someone from South Carolina, Advanced Surveillance Group can help. We have a South Carolina background check that will give you the data you need to make informed, intelligent decisions. A South Carolina background check is basically defined as the process of looking up official and commercial records about an individual. A South Carolina Background Check is often done when someone applies for a job, is the subject of a lawsuit or questionable insurance claim or is the subject of some type of investigation. Many background checks are performed by the Police but is now most often purchased as a service from a private business. Information in a background check may include things like; past employment, credit worthiness, litigation history and criminal history. South Carolina background checks are frequently conducted to confirm information found on an employment application or résumé. They may also be conducted as a way to further differentiate potential employees and pick the one the employer feels is best suited for the position. In the United States, the Brady Bill requires criminal background checks for those wishing to purchase handguns from licensed firearms dealers. Restricted firearms, explosives or large quantities of chemicals also require background checks. South Carolina background checks are also required for those working in positions with special security concerns, such as trucking, ports of entry, and airline transportation. Other laws exist to prevent those who do not pass a background check from working in careers involving the elderly, disabled, or children. You should know that the term “South Carolina background check” has many different meanings to different people, particularly to those who are selling background checks on the internet. For most people, South Carolina criminal activity is the major concern within a background check. It is important to understand that locating South Carolina criminal records within a background check must be done at a local level. Although there is a “statewide” criminal history search available in South Carolina, access to this search requires that the subject of the search give written permission for the search to be conducted. If some website is offering you this type of search to you, they have created their own “national” criminal database which is not reliable, accurate or complete and is ridiculous at best. Columbia is the biggest followed by Charleston in the Lowcountry and Greenville in the Upstate. Others include Anderson Aiken Beaufort Florence Georgetown Greenwood Hilton Head Island Moncks Corner Mount Pleasant Myrtle Beach Newberry North Charleston Orangeburg Rock Hill Spartanburg and Sumter. If you are not from South Carolina, but require a background check on someone who is (or was) from here, the following is some general information about the state that may help you become more familiar with the area. According to the U.S. Census Bureau, the state’s total population is over 4.7 million and growing rapidly, with the tenth-fastest population growth rate in the nation at nearly 4.5%. This is a large number of people and geographic areas to cover within a single background investigation, but ASG can get the job done. South Carolina is composed of four geographic areas, whose boundaries roughly parallel the northeast/southwest Atlantic coastline. The lower part of the state is the Coastal Plain, also known as the Lowcountry, which is nearly flat and composed entirely of recent sediments such as sand, silt, and clay. Areas with better drainage make excellent farmland, though some land is swampy. The coastline contains many salt marshes and estuaries, as well as natural ports such as Georgetown and Charleston. An unusual feature of the coastal plain is a large number of Carolina bays, the origins of which are uncertain, though one prominent theory suggests that they were created by a meteor shower. The bays tend to be oval, lining up in a northwest to southeast orientation. Just west of the coastal plain is the Sand Hills region, which is thought to contain remnants of old coastal dunes from a time when the land was sunken or the oceans were higher. The Piedmont (Upstate) region contains the roots of an ancient, eroded mountain chain. It tends to be hilly, with thin, stony clay soils, and contains few areas suitable for farming. The upper part of the Piedmont is also known as the Foothills. The Cherokee Parkway is a scenic driving route through this area. This is where Table Rock State Park is located. Highest in elevation is the Upstate, containing an escarpment of the Blue Ridge Mountains, which continue into North Carolina and Georgia, as part of the southern Appalachian chain. South Carolina’s center of population is located in Richland County, in the city of Columbia.